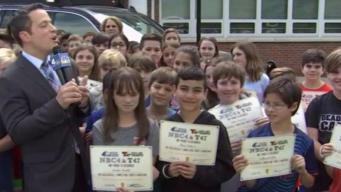 Enter the WNBC Weather Kids Star Teacher Awards! 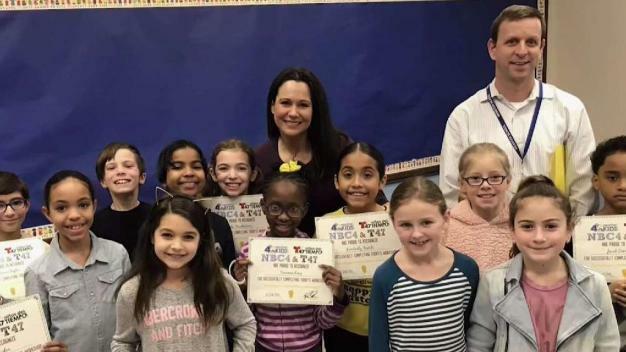 NBC 4 New York is pleased to present 'NBC 4 Weather Kids', a Storm Team 4 presentation for elementary school students throughout the tri-state area. 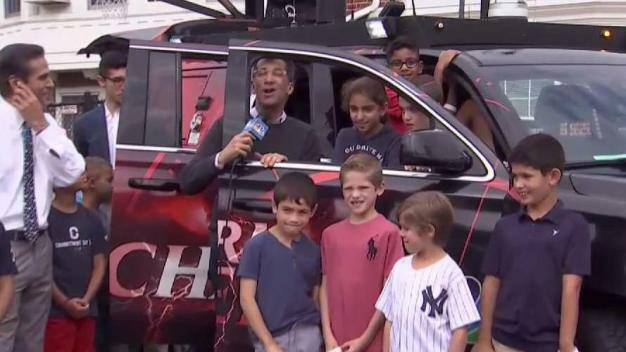 Storm Team 4 meteorologist Rafael Miranda was with the kids at Tod Elementary School in Briarcliff Manor, New York, Thursday for NBC 4's Weather Kids segment. 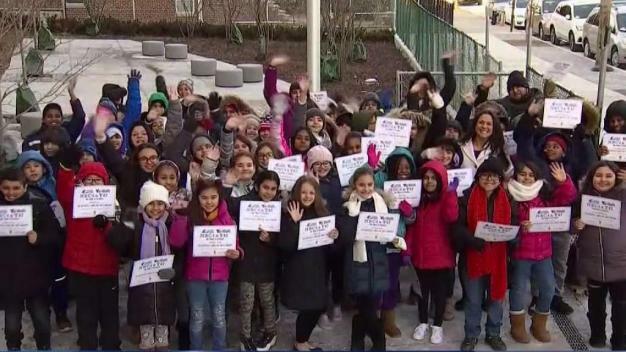 Storm Team 4 meteorologist Erica Grow was at PS 234Q in Astoria, Queens, Friday where the kids were learning about weather patterns. Storm Team 4's Chris Cimino and Erica Grow are at Brooklyn Scholars Charter School in East New York, where the students are showing off what they've learned about atmospheric science. 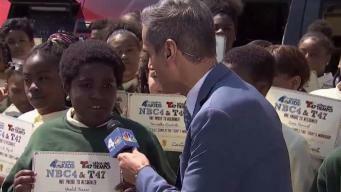 NBC 4 meteorologists Erica Grow and Raphael Miranda are at Midland School in Rye, New York, Monday where the kids are showing off their new weather knowledge. 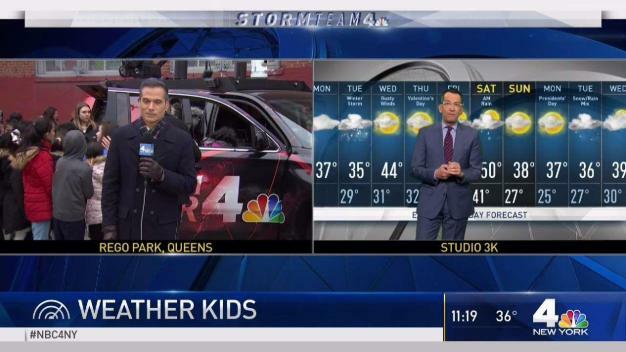 NBC 4 New York is pleased to present 'NBC 4 Weather Kids', a Storm Team 4 presentation for elementary school students throughout the tri-state area. Starting this fall, elementary schools can sign up to participate in this important community initiative, which includes personalized weather instruction courtesy of our weather experts. Schools selected for participation will be contacted at least 30 days in advance.